Come and join in our fun activities this half term! Formaore information conatct Accesspoint. 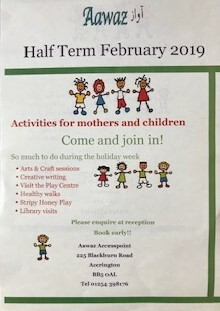 There is a fun packed week of activities this half term at Aawaz.